Anne Graduated from Edinburgh University in 1981. She has enjoyed an interesting career in General Practice including a few years working with the Post Graduate Department at The University of Leeds as a Vocational Trainer. I was fortunate to winThe Trainer of the Year Award with the MDU in 2007. The last twenty years have seen an explosion in new materials and techniques aimed at restoring teeth with minimal destruction. New Technology is amazing - particularly the new Computer technology I deploy to crown teeth in one visit. 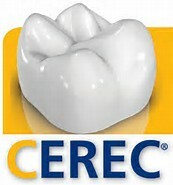 The fantastic CAD/CAM Cerec. Ann Masters CEB Certificate in Dental Hygiene. GDC No: 3553. Having worked as a Hygienist for over 28 years, she is still as enthusiastic as ever to encourage , cajole and advise her patients of the advantages of following a good daily hygiene regime in order to have a healthy mind and a healthy body. Mandy has 20 years experience working as a Dental Nurse. She is also qualified as an Oral Health Educator and has gained NVQs in Management and Business Administration. Mandy works hard behind the scenes to ensure that the administration is in good order. However, her Primary focus is always on our patients. She cares about all of our patients and is gentle and professional and considerate. She is a huge asset to my small team. Christine joined our team in 2004. She has since gained an NVQ in Customer Service. Friendly, efficient and professional . Christine aims to ensure that all patients are attended to with a minimum of fuss. As a team we aim to ensure all patients are treated with respect and all patients receive a copy of treatment options, plans and estimates with a minimum of fuss.